Hope's Cafe: GH Sports Athletic Top Review!! 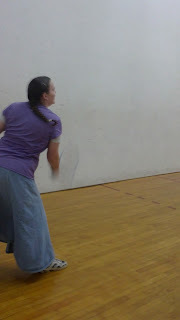 I am a very active person; I would be considered a tomboy by many people. As such, I spend a lot of time playing sports (with the family, not on a team at all) and exercise every day. 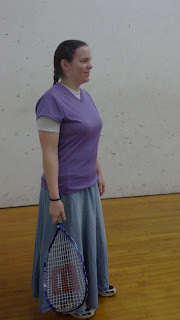 So, finding athletic wear that is comfortable and stylish is a huge deal for me. 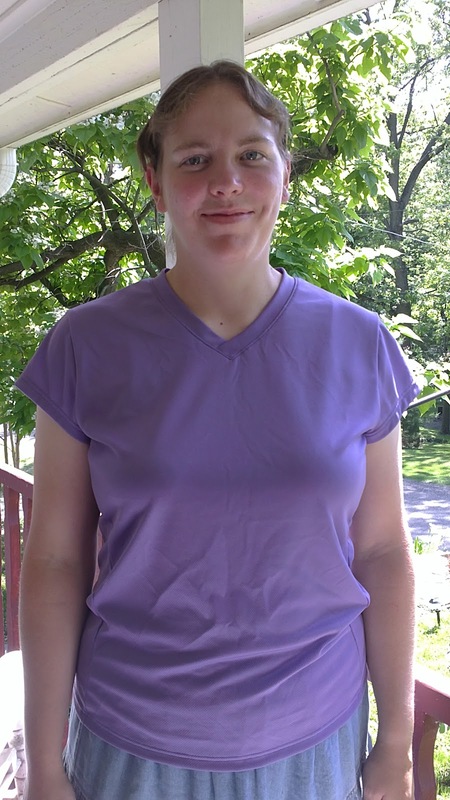 When I discovered GH Sports and browsed their selection of fitness apparel, I was very pleased-and even more excited when they offered to send me their Cap Sleeve Run Top for review! 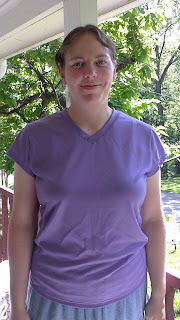 The Cap Sleeve Run Top is available in 5 colors; I chose the violet. It is a v-neck shirt, and is the only v-neck I've owned that wasn't uncomfortably low-cut. The shirt is made of 100% flyweight coolmax. The fabric of my fitness wear is one of the most important things to me; too heavy and it's uncomfortable, too lightweight and I feel like it's not sturdy enough for what I need. The Cap Sleeve top is perfect. Lightweight enough that it allows for breathing, as well as a nice airflow, yet not too delicate. It wicks away the moisture from your skin, so it's great for our energetic racquetball games! The shirt is nice and stylish too, even though it's just a sports shirt. Many times after a game at the YMCA, I'll run into Wal-Mart or the grocery store. With this top, I don't feel like I have to bring along a change of clothes; it's pretty and feminine, and pairs with just about anything so I can do my errands in my "workout clothes"! The Cap Sleeve Run Top is perfect for exercise, sports, or any other physical activity. It keeps you cool during a heated workout or game, and would also work well for a base layer during the colder months. I love the cool, airy feel of wearing this for workouts and sports, though-it quickly became my go-to shirt for any form of exercise! No matter what you're looking for when it comes to sport or fitness wear, I suggest you check out GH Sports today! Disclaimer: I was not monetarily compensated in any way for this review; I did receive product for the purpose of review. All thoughts and opinions are mine; all quotes taken from the Clio website. I was not required to post favorably about the product or company.